Maurice Hugh Frederick Wilkins was a New Zealand born British biophysicist who was awarded the Nobel Prize in Physiology or Medicine. This biography profiles his childhood, life, career, research work, achievements and timeline. Maurice Hugh Frederick Wilkins was a British (born in New Zealand) biophysicist who was awarded the Nobel Prize in Physiology or Medicine for producing the first image of DNA fibers. His research constituted mainly of optical microscopy, separation of isotopes, x-ray diffraction, and phosphorescence. He helped in the improvement of radar screens used in the Second World War to detect enemy aircraft approaching the coast of England. He worked in the Manhattan project for some time but later changed over to biophysics. His specialization during the work at the Manhattan project was in spectroscopic separation of uranium isotopes. He soon lost interest in helping create weapons of mass destruction and instead changed over to doing research on biophysics. 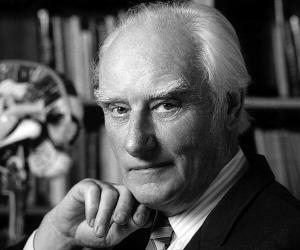 His discovery contributed to the double-helix model suggested by Crick and Watson in 1953. He and another scientist named Rosalind Franklin provided the secondary research to the double helix theory suggested by experiments carried out by the scientists James D. Watson and Francis Crick which became the basis of further research on the structure of DNA. He shared the Nobel Prize with Watson and Crick as Franklin had died in 1958. 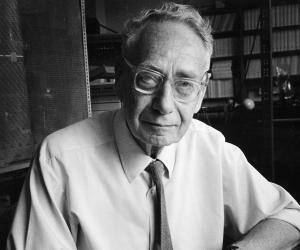 He went on to do more work on genetics which included several experiments on RNA. 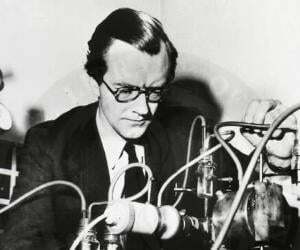 Maurice Wilkins was born in Pongaroa, north Wairarapa in New Zealand on December 15, 1916. His father, Edgar Henry Wilkins, was a doctor in the ‘School Medical Service’. He attended the ‘King Edward IV School’ in Birmingham at the age of six when his family moved to England from New Zealand. 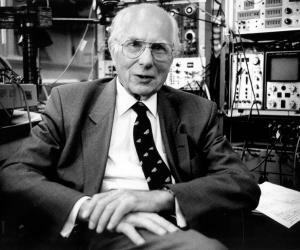 After passing high school he enrolled at the St. John’s College under the University of Cambridge in 1935 from where he earned a degree in physics in 1938. He joined the ‘University of Birmingham’ from where he got his PhD in 1940 by experimenting on the theory of phosphorescence. He contributed to the war efforts in England during the Second World War by carrying out experiments on phosphorescence for improving radar screens. Later on he moved to the United States where he was recruited for the Manhattan Project which developed the atomic bomb. After losing interest in producing weapons like atomic bombs, he moved to the ‘University of St. Andrews’ in Scotland in 1945 and joined as an Assistant Lecturer under John Randall who had been appointed to the Chair of the Physics department. He started working on the X-ray patterns produced by molecular structures. In his further experiments Wilkins was helped by John Randall who thought of using physics to help solve problems related to biology and wanted to combine both these disciplines to form an altogether new discipline called biophysics and carry out more experiments. In 1946 Wilkins had to move to the ‘King’s College, London’ along with Randall as ‘MRC’ told them to carry out their research in another university. They joined the ‘Biophysics Unit’ of the ‘Medical Research Council’, Randal as the ‘Wheatstone Professor of Physics’ and the head and of the entire department while Wilkins as Assistant Director. During the month of May or June, 1950, Wilkins and a graduate student, Raymond Gosling, obtained photographs of DNA with the help of X-ray diffraction methods. This photograph showed that the DNA molecule consisted of crystals arranged regularly on threads. In 1950 Wilkins was joined by James Watson and Francis Crick when they became interested after seeing the photographs of the DNA structure taken by Gosling and himself. Another researcher, Rosalind Franklin, joined the team in early 1951. Wilkins was able to prove that cell DNA had a helical structure by November 1951. While working with Clark, Watson and Franklin he was able to obtain the first picture of the DNA strands produced by deoxyribonucleic acid fibers with the help of x-ray diffraction. He ultimately became the Assistant Director of the ‘Medical Research Council’ in 1950 and then the Deputy Director in 1955. He remained in the post till his retirement in 1981. He was made an Honorary Lecturer in the ‘Department of Biophysics’ unit in 1961 when it became a full-fledged department. He worked at the King’s College London throughout the 1960s and 1970s. In late 1969 he became the president of the ‘British Society for Social Responsibility in Science’ and held the post for almost two decades. 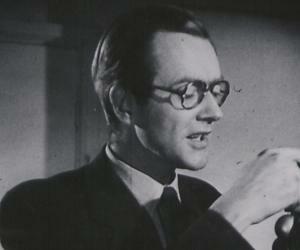 Maurice Wilkins published his autobiography ‘The Third Man of the Double Helix’ in 2003. 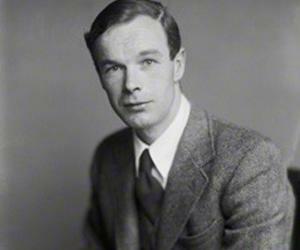 He was elected a Fellow of the Royal Society’ in 1959. He received the ‘Albert Lasker Award’ in 1960 from the ‘American Public Health Association’ jointly with Watson and Crick. He received the ‘Companion of the British Empire’ award in 1962. He received the Nobel Prize for Physiology or Medicine on October 20, 1962, for his work on DNA. He married his first wife Ruth who was an art student when he was in Berkeley. He had a son from this marriage. He married Patricia Ann Chidgey in 1959 and had two daughters, Sarah and Emily, and two sons, George and William, from this marriage. The King’s College London’ built the Franklin-Wilkins Building in honor of Rosalind Franklin and Maurice Wilkins. Maurice Wilkins died in London, United Kingdom on October 6, 2004. Maurice Wilkins was an anti-war activist before and during the Second World War and joined the ‘Cambridge Scientists Anti-War Group’. He was disgusted by the dropping of two atomic bombs on the civilian areas of Hiroshima and Nagasaki by America. He had joined the Communist party but gave up his membership when the Soviet Union invaded Poland in 1939. Maurice Wilkins was committed to ethical practices and a humanistic approach in all his research work. He loved gardening and collected many works of art and sculpture.